Cultural and music enthusiasts from all over Idaho, the Northwest and beyond are invited to attend this free, family-focused event to enjoy vibrant traditional and contemporary performances, workshops, art, film and an international market featuring members of the Treasure Valley’s multinational community. 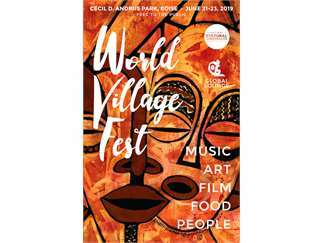 World Village Fest is a 3 day celebration in Cecil D. Andrus Park of Idaho’s international and traditional artists, musicians, story tellers, artisans and representatives demonstrating cultural traditions through performances, workshop and interactive activities. Participants include the Mexican, Basque, Chinese, Japanese, Filipino, Bosnian, Greek, Middle Eastern, Latin, North and South American, Laotian, African and Native American and South Asian communities.